2K Games and Gearbox Software today revealed that the Borderlands 3 will be released on September 13, 2019, for PC, PS4 and Xbox One. However, the Borderlands 3 went on pre-order sale today for the first time and looks like Borderlands 3 Diamond Loot Chest Collector’s Edition that costs $249.99 has bee sold out on its first pre-order sale today. Borderlands official Twitter account later today confirmed that all the saints of the Borderlands 3 Collector’s Edition have already sold out on Borderlands.com. Xbox Collector’s Editions have already sold out on https://t.co/7iButjDoDj. If you can’t find the version you want, be sure to check your local retailer — fast! Borderlands 3 Xbox Collector’s Editions, How and Where to Buy? 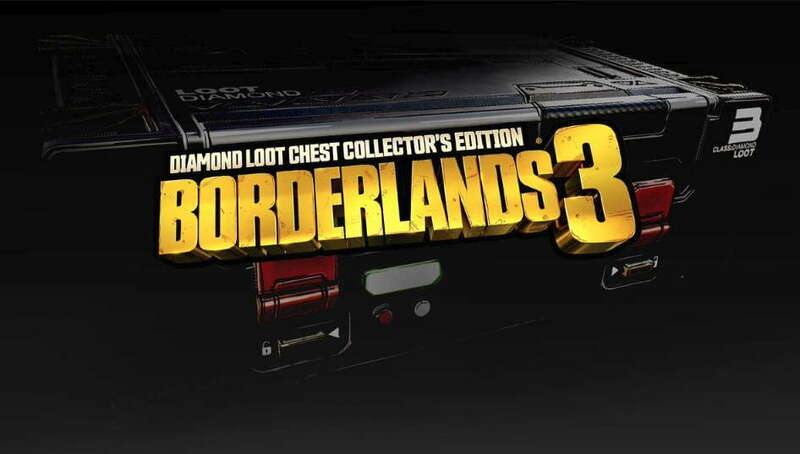 Now, if you think that you have missed the opportunity to by the Borderlands 3 Diamond Loot Chest Collector’s Edition from the official website. You still have the chance to grab it from GameStop for the same $249.99 on PC, PS4 or Xbox One. So, now don’t wait, get your copy now before its too late. Notably, Borderlands 3 includes four different editions, Standard Edition, Deluxe Edition, Super Deluxe Edition, and Diamond Loot Chest Collector’s Edition. Borderlands 3 Standard Editions costs $59.99, while the Deluxe Edition costs, $79.99. On the other hand, the Super Deluxe Edition of the Borderlands 3 costs $99.99 and its Collector’s Edition costs, $249.99. Borderlands 3 will be available on September 13, 2019, on PC, PS4 and Xbox One.